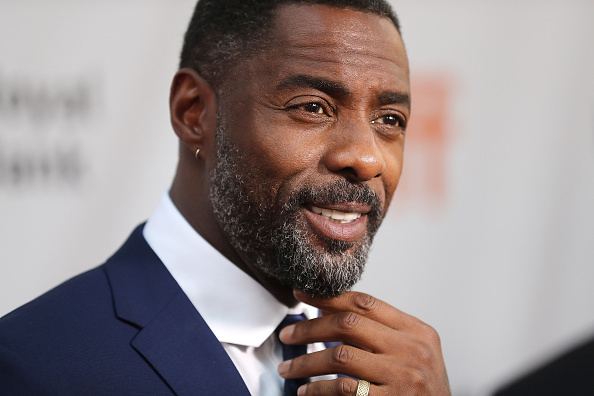 If you’re a big fan of Idris Elba (and let’s be real, who isn’t), then boy do we have a treat for you. The actor took a break from promoting his upcoming movie with Kate Winslet, The Mountain Between Us, to read us a few steamy stories, and this may very well be the greatest thing that’s ever happened. Throughout the video, Elba dramatically reads passages about his “sinewy shoulders” and “magical neon sexuality,” and some of this stuff is Fifty Shades of Grey-worthy. "It's been snowing for two hours, and he's still not back," Elba read. "Finally, the door bursts open. I run to him and peel off his snow-packed jacket. Rubbing his sinewy shoulders, his skin warms under my touch. And then he kisses me, just like the night he returned from filming Thor." While Elba maintains the dramatic characters and voices throughout most of the passages, he does pause ever so often to interject his own thoughts about the material. Weird? Perhaps. But it’s given us some great bedtime story material, and that’s something to be grateful for.